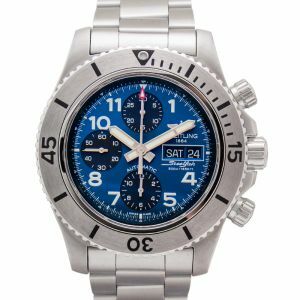 Typically marketing the diving and aviation community, Breitling has been around since 1884 since it was founded by Leon Breitling himself. The watch style is generally a little larger as it was designed to make readability a little easier. 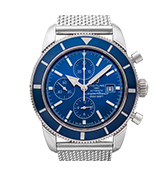 Breitling chronometers are definitely one of their most beloved watches. The company was family owned up until 2017. It began as a hobby and very soon turned into a passion; we often get to hear this from watch enthusiasts. Collecting classy watches could be a passion for some people. There is a reasonable population of the world following this passion, as a matter of fact. Such people are super zealous about accumulating a fine collection of timepieces of various genres. On a side note, your personality has many shades, and each shade reflects your truer self. Each of them sheds light on what kind of a fella you are. Whatever you pull off is a part of your personality and finalizes people's impression of you. Therefore, you'd always want to attire yourself in fine clothing so that you can leave a powerful impact on those around you, and let every eye follow your style statement. 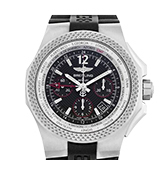 This more than beautiful Breitling watch is worth taking a note. 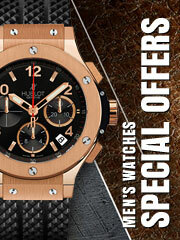 The leather strap in brown color with stitch marks on the edges combined with golden case gives a super glamorous look. The stitch-marks ascertain that the strap-material is perfectly stitched. 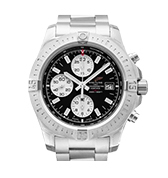 Since it's a chronograph watch, it offers multi-functionality. It contains a ratchet wheel chronograph with vertical coupling. It also has a magnificent ability to reserve power for 70 hours. The dial’s color suits the color of the strap. The display inside the dial shows 30 min and 12-hour clocks as well as the date. There's a push button and two crowns attached alongside the case. There's a transparent sapphire at the back of the case. 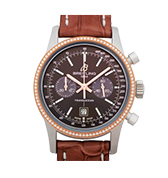 With its killer looks, Breitling Navitimer Chronograph beats all the other timepieces. This elegant timepiece is given with steel satin finishing. The whole piece is made of stainless steel and looks stylish; however, the dial's interior has a contrast of black color. The black and silver color complement each other very often; hence, this piece's beauty becomes extensive. The strap has a ladder-like structure, fragmented into fine pieces. It's oversized minute and hour hands inside the volcano-black dial also emphasize its look. The round dial has curved and thin silver material covering the edges. As it's a basic watch, there's a crown attached beside the dial. 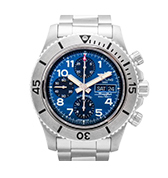 The Breitling Superocean perfectly complies with your formal look. This supersonic timepiece stands very unique due to a number of reasons. The combination of steel, gold, and onyx black give it a ravishing look. 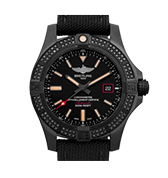 Breitling Chronomat has a steel case, onyx black strap, and a round dial in gold. The strap material is stitched with white thread and has marks on the edges confirming it. It's a soft fabric in onyx black. Solid and stainless steel is used in composing the case. The exterior of the dial is given in gold with a single crown and a pair of push buttons attached aside. 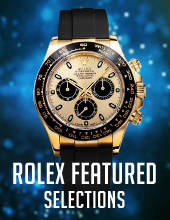 Since it's a chronograph watch, it has gold sub dials inside the main dial. 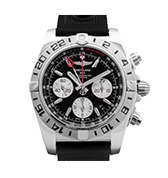 Breitling Chronomat 44 functions in multiple ways. The hands and the watch markers are golden while the main dial remains onyx black matching the strap's color. One of the most uncommon pieces surpassing the general expectations you will ever get to see. 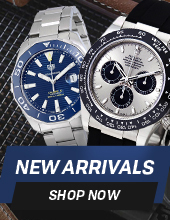 Buy Breitling watches online via their website. It's a voguish timepiece conforming to all the wants of a watch enthusiast. 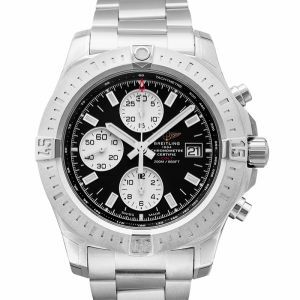 Breitling Chronomat chronograph is a steel watch structured beautifully for its consumers. The strap consists of multiple fragments; three fragments vertically and numerous fragments horizontally. The case material is perfectly round with push buttons and a crown placed beside. Just the interior of the main dial is contrasted with blue, and the sub dials with black. When the steel hands move around the blue dial, it gives an eye-catching look. The dial, as usual, shows 30-min and 12-hour index along with the date. Tie the classy Breitling watch around your wrist and surround yourself with all the positive vibes. 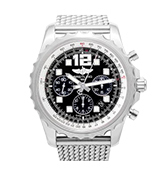 Breitling is one of the most admired brands across the globe. 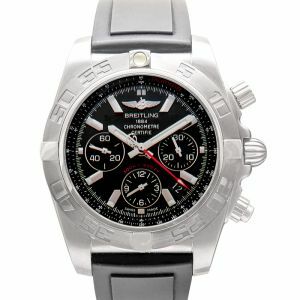 Breitling is a Switzerland-based company manufacturing top class timepieces, which was initiated in 1884. Leon Breitling, the founder of the company, had been a visionary leader in the field of horology. 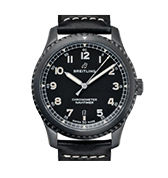 You truly won’t regret buying Breitling watches. 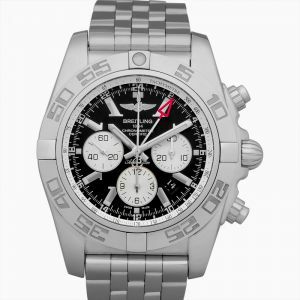 So, choose your desired model and buy Breitling watches online to add to your collection. 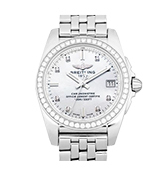 Breitling is a company that is known for their precision. They make beautiful pieces that are designed with care and the utmost respect for watches. The company’s history dates back to 1884 and a few years later in 1889, they got a patent for a more simple model of a chronograph. 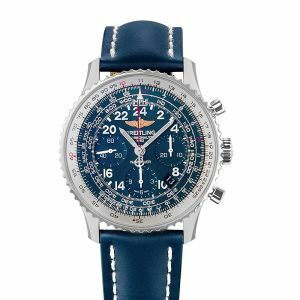 The innovative company debuted one of their most popular collections in 1952 - the Breitling Navitimer. 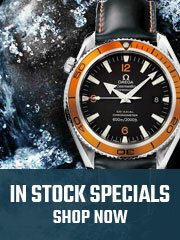 Other top collections include the Superocean, Transocean and Chronomat.